Lately, the internet has been excited about the new online business platform, the BuilderAll. If you haven’t heard about this, don’t worry you are not too late. It might be a good thing. The popularity of this all-in-one full services online business tools platform has increasingly become popular today. The underlying business argument for the money saving and business benefits of having every online business tools under one roof are sound and logic. The problem with theories and logic is that they work in the academic setting, not in real world. Every day hundreds of new online business tools are introduced on the internet promising a better future for online business owners, but very few can survive after a few months of launch. It is very difficult to know which one will live and which one will die. One method that I have used for years, here my profile, to determine if the new business program any good is “Wait and See.” A business with a strong foundation will survive, not the one receiving the most praise and hypes. 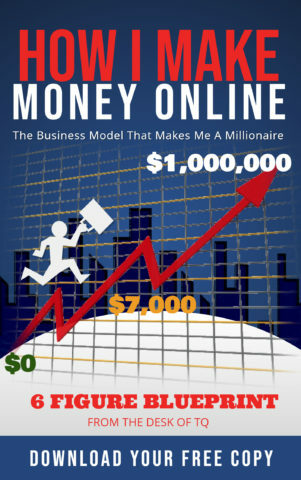 This is how I build this successful online business. The BuilderAll is more of a hype to me. It is the excitement created mostly by affiliate marketers and promoters looking to make commissions. I cannot see any evidence of benefits to online business owners like me. This software suite is still in beta phase. It is too risky to build your entire online business on this new platform. It is better to wait and see if BuilderAll will survive. What Is the Cost to Join BuilderAll? Is BuilderAll a Good Investment? BuilderAll was introduced to the online world as an all-in-one marketing platform which offers all the tools for you to build and run an online business. The business concept of BuilderAll is to eliminate the need of business owners to employ multiple vendors in the process of building and running their online business. However, this concept does have its own risk. I’ll explain below. As a business owner, you need various online tools such as web hosting, website builder, Email autoresponder, Webinar, sales funnel and many more to stay competitive. These tools cost hundreds of dollars per month. BuilderAll promises to provide all the digital marketing tools for a low monthly price of $49. This is a deal for all internet marketers, but is this any good for business owners? We will look at each marketing tools provide by BuilderAll below. Let first, look at the history of this company. BuilderAll originally started in South America above five (5) years ago by Erick Salgado. While working with BIMN, Eric discovered that many of their customers needed an online presence which at that time very expensive and time-consuming. Unable to find a provider that can offer all the online tools to help people created an online presence at a reasonable price, Eric set out to build his own all-in-one platform which he called BuilderAll. In 2017, Eric launched BuilderAll in the US. The business did not do well due to the need for further testing and improvement on the software suites. It took the company another year to fix and improve its platform. BuilderAll relaunched their software platform on July 27, 2018, with a new affiliate business opportunity. The affiliate business opportunity is a hit that helps spread the hypes of BuilderAll digital marketing tools platform. BuilderAll considers itself to be a completed marketing tools platform servicing online business owners at an affordable price. As a BuilderAll member, these are the tools which you will have access to help you operate your online business. Here is a brief description for each of them. This easy, user-friendly, and do-it-yourself website builder tool allows even non-techies to create professional websites, sales pages, landing pages, eCommerce stores, or any other type of internet marketing pages with just a drag and drop methods. The software comes with thousands of templates for you to use and speed up the design process. BuilderAll Mail Boss allows business owners to quickly and easily develop autoresponder email campaigns, manage leads, and sending unlimited emails without the need to pay more. You can run unlimited email campaigns up and store a list of up to 10,000 subscribers with guaranteed deliverability. This builder tool gives users the ability to create a website or blog pages in minimal time. This tool also allows people to create content for their site which will rank on search engines. You can easily create float videos for your websites, landing pages, or blog pages to greet visitors without the need for expensive professional equipment. This tool allows you to create your own animated video. You can design your own characters or choose from hundreds of exclusive characters available through BuilderAll platform. After creating your animated video, you can publish on your website, YouTube channel, Facebook account, or other media platforms. The design studio allows you to design professional-looking image mockups such as screen images, poster images, business card images, eBook images and more. This tool is great for anyone who doesn’t already own a professional photo editing software like Photoshop. This tool gives you the ability to deliver web content in a form of a presentation. It works like a PowerPoint where you can add text, images, videos, and different objects to your presentation. Browser notifications tool is an app when activates it will notification to visitors regarding your website status even if they aren’t on your website. This is a very powerful marketing tool. This SEO on page report tool helps you measure the strength of your keyword to help improve Search Engine Optimization (SEO). The tool will analyze and present a report in a list of items needed to optimize to achieve the best search result. This app allows multiple ways to integrate with your Facebook page to tell visitors about people who have bought your products or registered for a membership with your website. This helps boost sales and leads for your business. The click map tool is used to track website user’s behaviors. How are they interacted and where most of the clicks are generated on your website? You can use the information to optimize your website to maximize the user’s experience. This tool allows you to collect and capture Email addresses to build an email list for later marketing purposes. With this tool, you can create your own mobile App to promote your business and reach more customers. Cell phone usages are on the rise. Having an App for your business will certainly help increase your business online presence. You can also offer products and services directly to customers via mobile phone with an App. You can create your own webinars to promote products or services. This tool allows you the ability to communicate directly with your customers. BuilderAll has extensive training and tutorial videos to teach you how to use all the tools available on the platform. There is more than 400+ tutorial and training videos that you can use to master your skills in creating websites, sales funnel, email marketing, magic funnel and various methods. On top of that, BuilderAll also has a Private Facebook and Weekly Live Training to answer any questions that you might have about the BuilderAll business or using of the tools. As you can see, BuilderAll offers an impressive list of tools at an amazing price of $49 per month. No wonder affiliate marketers are so excited about this opportunity. As a business owner, the question here is: should you switch over to BuilderAll? What effect will this have on your business? BuilderAll sounds great in term of helping business owners cutting costs, but before you jump ship, here are some business risks which might have negative effects on your business. I will only discuss two major issues in this article: The Platform Lock-In and the business outlook for BuilderAll. Unlike beginners, existing online business owners have spent a lot of money and time creating content and building an online presence for their business. If you want to bring your business into the BuilderAll platform, you have to understand that you cannot just download and import your WordPress site into BuilderAll. BuilderAll is not compatible with WordPress. BuilderAll is a stand-alone platform. The only option is to rebuild your entire business under this new platform. This is a foolish business decision. Why do you want to throw everything away for a marketing hype? I don’t believe any of the established affiliate marketers that promoting BuilderAll transfers their online blogs into this new platform because this would mean the end of their online business. Beginners choosing to start their online business with BuilderAll must also consider this, what if this company fails? You are putting all your trust into the success of BuilderAll when you decided to build a business on this new platform. Unlike WordPress which you can freely transfer your website to the new web hosting providers, you cannot transfer your BuilderAll website anywhere. If BuilderAll fails, you are out of business. All your hard work will be gone. Many online businesses fail within the first few years after launch. How can people so confident that BuilderAll will not go under? BuilderAll business concepts are exciting, but the survival of a new online business depends on its ability to generate enough money to stay in operation. As I have stated above, the problem with BuilderAll business is the platform lock-in. I cannot see any well established online business will switch over to this platform. It does not make business senses to do so. I believe most people using BuilderAll are beginners or new business owners. An operation that builds largely on new businesses will have a hard time to stay afloat because over 90% of new online businesses fail within the first six months. The business outlook for BuilderAll is not very promising. $9.90 per month or $108.90 annually for one domain and other tools, but without Mailing Boss. $29.90 per month or $328.90 annually for unlimited domains and all the tools above. $49.90 per month or $548.90 annually which gives you all features and the opportunity to earn money with BuilderAll. There is no argument that BuilderAll has the best price for all these tools. However, price alone should not be the only factor in making your business decisions. It is not wise. At this early stage, it is hard to say if BuilderAll is a good or bad investment. For existing online business owners, I can see some benefit of using the tools from BuilderAll. I would not transfer my business over to this new platform. It is too risky. For beginners, if you have no problem with the platform lock-in and can afford the $49.90 per month, then I think you can give BuilderAll a chance. Click here to start your business. You have to go with the $49.90 plans if you want to build a business with BuilderAll. 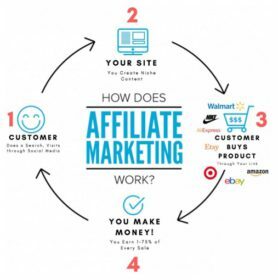 I have been working online as an affiliate marketer for more than 20 years. Here’s my success story. I start my online business with a free affiliate marketing training program. Yet, you heard me right! Business Tips: If you are a beginner, your chance of success with BuilderAll is very slim. Why? Because BuilderAll is a business service provider, not an affiliate marketing training program. Most of their tutorial and training videos teach people how to use their tools. These lessons do not teach you how to make money online as an affiliate marketer. The 4 steps are: Find a niche, build a website and create content, web traffic techniques, and monetization. The best affiliate marketing training program for newbies and beginners is the Wealthy Affiliate University. It is FREE to join: This gives you an opportunity to check out the training program first. There is no financial obligation, and you can stay as long as you want. Click here to train for free. Free Training Lessons: All beginners receive 10 free training lessons. I strongly recommend you check out these affiliate marketing lessons before joining BuilderAll. It not only helps you with your online business but also allows you to try affiliate marketing before investing time and money. Check out the 10 free lessons. Free tools to launch your business: The university gives members 2 free websites and free keyword research tool to practice what they have learned. These are all the tools that you need to start your online business. Click here to check out the tools. Finally, this is the free affiliate marketing program that I have used to build this successful online business generating over $6,000 passive income a month. Want to know how I build my online business? I invite you to join and train with me by click on the link below. This way I can help you along the way. This is my free offer. Click here for my profile. As a newbie, if you want to make money promoting BuilderAll, I suggest you register for a free account with Wealthy Affiliate University when you join BuilderAll Business program. Your cost is still the same, but you receive more training lessons and a better chance of success.